We all know that Kalank is just a day away from its release and the stars have been in neck deep promotions for the same for a while now. While the stars have been doing media interactions to making appearances on reality shows as a part of it, they recently were also a part of The Kapil Sharma Show. During the same, the stars had a brief discussion on the upcoming elections where Varun Dhawan, Alia Bhatt and Sonakshi Sinha were keen on using these as their party symbols if they start a political party. 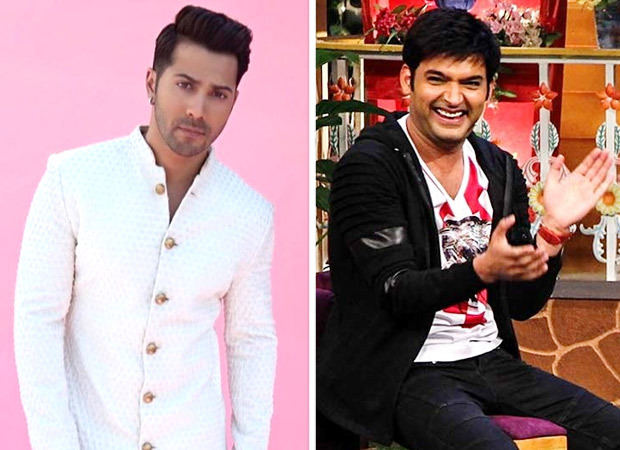 A video from the Kalank episode of The Kapil Sharma Show featuring Alia Bhatt, Varun Dhawan and Sonakshi Sinha have been going viral. The three actors were seen giving their viewpoints as Kapil was seen discussing elections 2019 with a quirky twist. Keeping up with the theme of the show, the stars chose some wacky symbols for their respective political parties. Varun Dhawan came up with the funniest symbol of a ‘kachha’ (underpants) and that left his co-stars quite surprised. Coming to Kalank, the film is a romantic drama set against the backdrop of the pre Independence era in 1940. The film also stars Aditya Roy Kapur, Madhuri Dixit and Sanjay Dutt in pivotal roles. The film, directed by Abhishek Verman and produced by Karan Johar and Sajid Nadiadwala, is slated to release on April 17. Also Read: Varun Dhawan has a ‘FIRST CLASS’ compliment for this Kalank and Avengers: Endgame crossover!